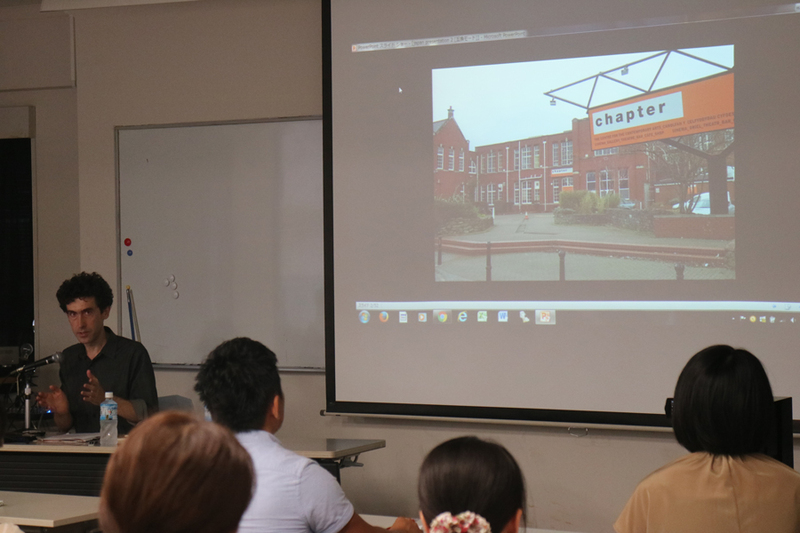 On July 22, 2016, in the third lecture in the series Introduction to Art and Culture in the Global Age, Mr James Tyson delivered a case study on Chapter Arts Centre in Cardiff, Wales, UK, where he worked as the Head of the Theatre department from 1999 to 2011. 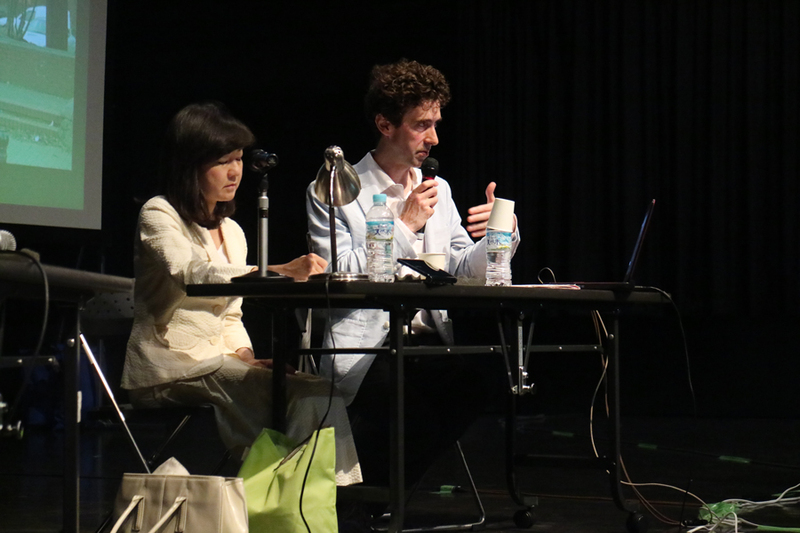 In the lecture, he posed two important questions: What is the role of the art center and how can you connect the arts and its community? To answer these questions, he used Chapter Arts Centre as an example, exploring in detail its historical background. When thinking about the history of Chapter Arts Centre, it is essential to know the cultural movement of Britain after the Second World War. In 1946, a quarter of a century before the establishment of the Centre in 1971, the Arts Council of Great Britain was founded. In Britain at that time the Welfare State had just been established in 1946, and the provision of social and public benefits were emphasized as part of a government program designed to aid Britain’s postwar recovery. Therefore, the early Arts Council supported cultural programs through funding for National Orchestras, Ballets and Galleries. As “new art forms” gradually began to emerge in postwar Britain the idea of Chapter Arts Centre began. It is very interesting that the three founding members of Chapter Arts Centre all had different artistic backgrounds. In other words, this facility contained cross-disciplinary perspectives from the very beginning. While various arts rose in prominence in early post war Britain , this facility became a significant foundation for watching “what is happening right now” from a international perspective. This movement occurred in Wales, which was not a so-called major country. Outside of the mainstream and the art market, artists in various fields interacted with each other, and were able to spread their achievements towards a wide range of audiences. make larger networks with performers who didn’t perform at so-called traditional theatres. However, in the following decades especially in the 1980s Government funding cuts resulted in more difficult times for Chapter. Like many cultural centers established in the 1970s, when utopianism and socially orientated arts activity was encouraged and respected. The 80s, saw a move from the public funding of social and educational art and cultural programs to more market driven and private financial sponsorship of the arts. As Thatcher’s conservative government and its policies emphasized and promoted the free market , it became more difficult for small art groups to survive because they were required to have more numerically recognizable outputs. In this way, the cultural atmosphere of the 1970s had diminished greatly by the end of the 1980s, which marked a headwind of change for the Centre. Economic rather than cultural consideration are therefore essential when considering the circumstances surrounding the Centre and its later activities. What should the facility do in the global context of economy and business? Furthermore, once the facility was functioning as a place to provide arts to audiences, it turned into a place to organize the audience experience. The importance of facilities like a cafe or a bar inside the Centre, for instance, increased. As with many arts centers Chapter became a place to socialize, one where people who directly involved in the arts could gather and encounter artistic experiences. It is therefore not simply a question of how good a facility might or could be, but how well audiences can make a relationship with the arts through going inside the place where such activity is promoted. Arts managers therefore have to start thinking more actively about how to create an accessible space for audiences. I feel strongly that we should never forget this viewpoint when considering the “place” of art. I have believed for a long time that it is important for arts managers to not only support artists but also to let audiences become involved in art. It does not mean that we should make “participatory arts” which is so popular in these days. We, as art managers, have to promote the movement based on audiences spontaneously contacting with art, and this movement will result in the enriching of society. This may be key to Mr Tyson’s two questions. 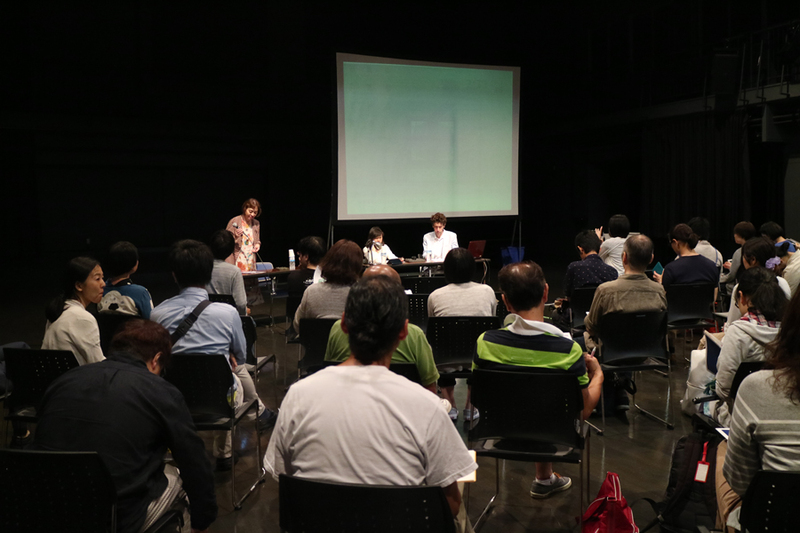 For example, at Minoguchi Seminar, which I belong to, I am planning a concert of classical music focused on the combination of space, art, and audience. How about putting the performers and audience in mutually influenceable place, rather than being divided into stages and seats? What should we do to deliver a performance that suggests various perspectives, rather than delivering a one-way performance with a fixed evaluation? The sociability or openness of art centers, however, is not really a new idea. Rather, it can be said to have a long history. For example, foyers of theaters are places used for social gatherings. The Pleasure Garden in England of the 17th century is another example. The concept of “art center”, including places that are not strictly art spaces, is traditional, and it is the current movement that they pay attention to this “art center”. Art management has a very fluid role. Following the lecture, I felt strongly that I want to build a relationship between time, place and people, and want to stay close to art.